Cheesy Chicken & Avocado Egg Rolls. 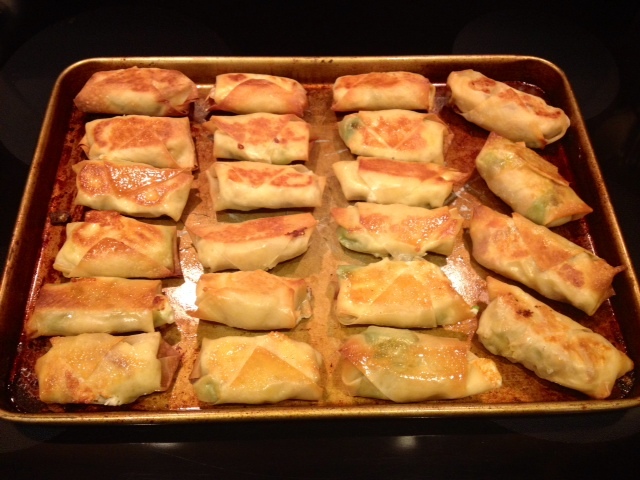 Egg Rolls With Rotisserie Chicken, Reduced-Fat Cream Cheese, Reduced-Fat Mozzarella & Avocado. 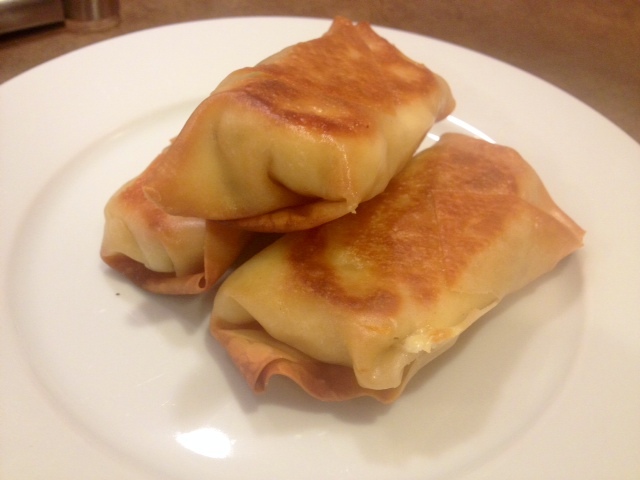 These egg rolls are super yummy and are also really fun to make! They’re the perfect finger food, so they make a great appetizer at a party. Not to mention, these delicious treats are baked, rather than fried, and the filling is made with reduced-fat ingredients, so you don’t have to feel guilty eating them. 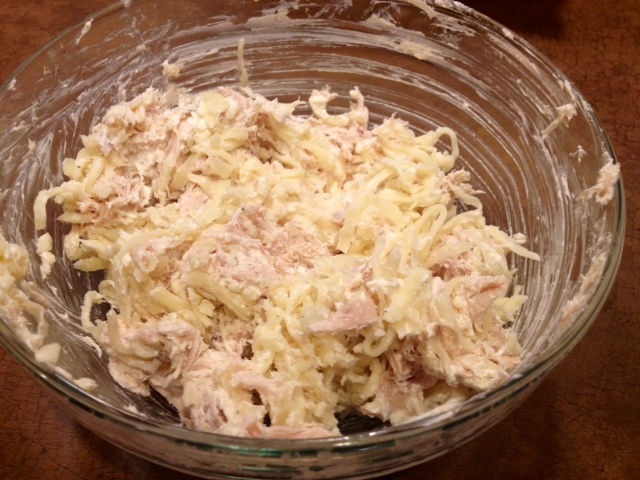 In a mixing bowl, add the chicken meat, cream cheese (softened) and shredded mozzarella. Season with a dash of garlic salt and black pepper. Use a spoon to mix everything together. 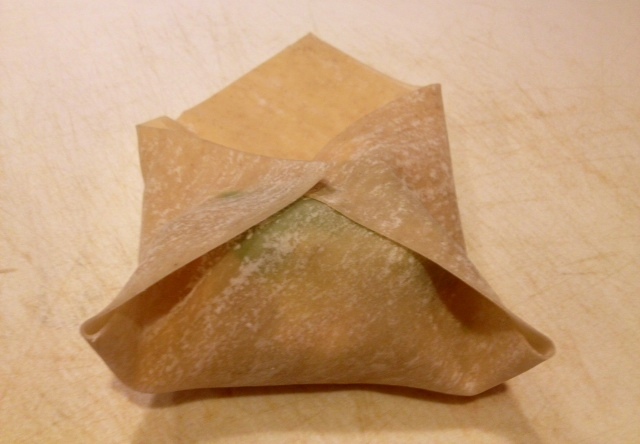 To make the egg rolls, place a heaping tablespoon of the chicken mixture onto the center of the egg roll wrapper and place a small piece of avocado on top. 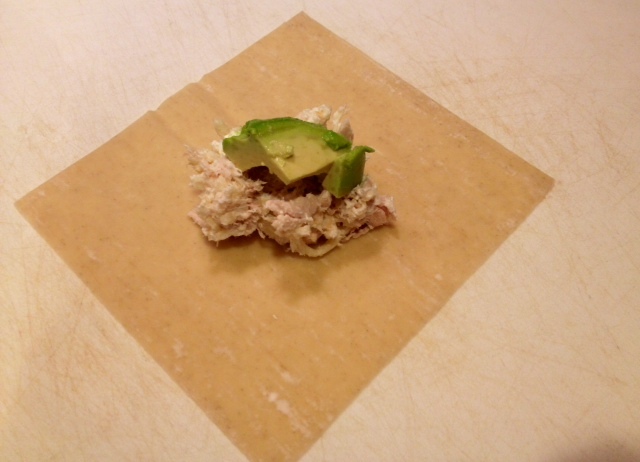 Fold the bottom corner over the ingredients and then fold in the sides. 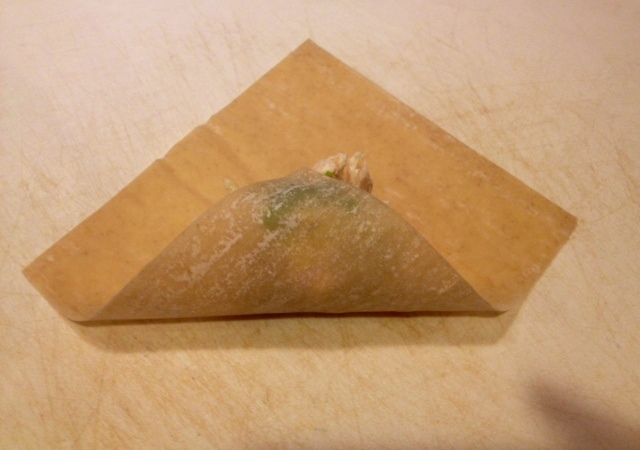 Roll the wrapper upwards and use a small amount of water to seal the top. 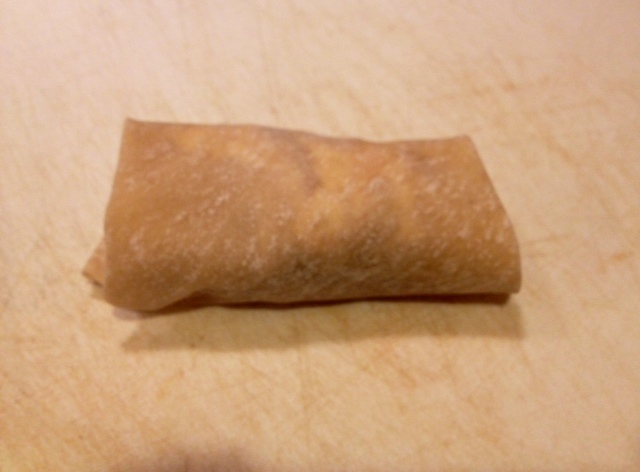 Repeat this process with the rest of the egg roll wrappers. Coat a baking sheet with 2-3 tbsp of olive oil. 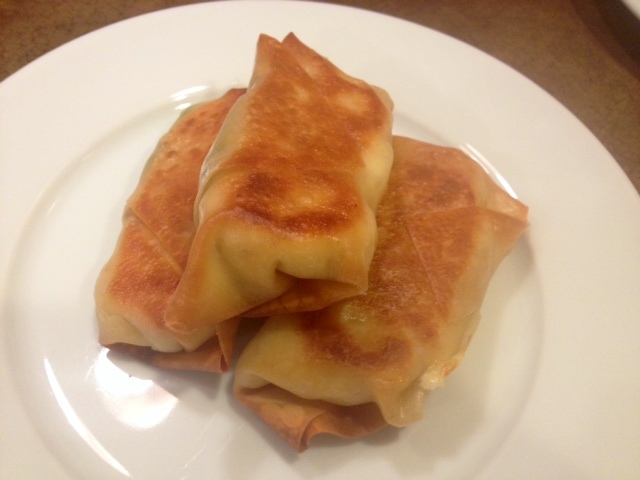 Line up the egg rolls on the baking sheet and bake in a 375 degree oven for about ten minutes. 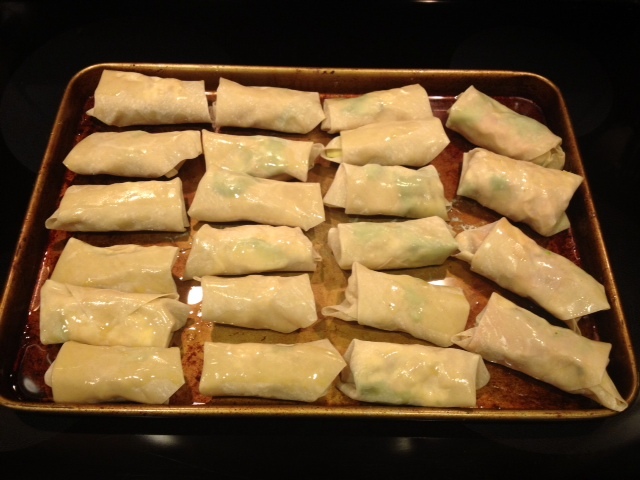 Flip the egg rolls to the other side and cook for an additional ten minutes, or until each side is lightly browned.